​Learn how to plan and successfully run your school garden with tried and true strategies from horticulturist and educator, Kristy Hackler. Practice a variety of skills including outdoor classroom management techniques, succession planting, garden design sketching, and year-long garden planning. 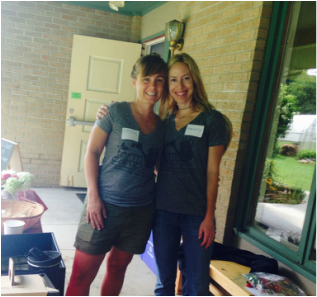 Kristy Hackler is a Jill of all trades, Montessori Teacher, horticulturalist, and creator/Director of Farm Camp. 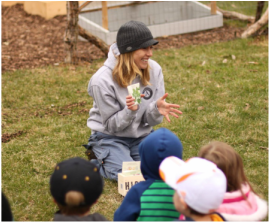 Kristy's 11 years of teaching experience combined with a strong farming background and running her own business as a landscaper inspired her to create the Farm Camp micro farm at Mountain Pathways Montessori School. The farm provides an intensive sustainable farming and gardening experience that focuses on basic gardening skills as well as harvesting, processing, and marketing farm products. Students have benefited from the farm by learning creative problem solving skills, the fundamentals of a sustainable food system, and practical life applications of science, technology, engineering, and math through hands on experience. Kristy and her sidekick, Emily (the Assistant Director of Farm Camp) hope to add meat chicken and mushroom production to our campus this spring. ​Learn how to utilize season extension technology in your school garden with Lon Coulter. Explore a variety of season extension techniques and learn how to build your own simple row cover for less than $50.